On October 2, the Sunshine Centres for Seniors held their weekly Rainbow Bridges meeting for seniors in the LGBTQ+ community, an initiative for which they received a 2018 Foundation Rainbow Grant. This year’s health and wellness theme has gathered speakers and guests in important areas such as fire safety, personal security, and for this particular meeting, physical health. Facilitator Irene Gabinet started things off with the usual dinner and conversation, as the group enjoyed their meal while discussing Thanksgiving, followed by some holiday-themed trivia. Then guest Lainie Magidsohn lead the group in Nia – a sensory-based movement practice that helps participants with mind/body connection, as well as flexibility and exercise. “This isn’t a spectator sport!” she announced, coaxing the group to the open floor. With the guideline of ‘participating at your comfort level’, members moved at their own pace, with one person who uses a walker for mobility simply pulling up a chair and keeping pace with the upper body motions. 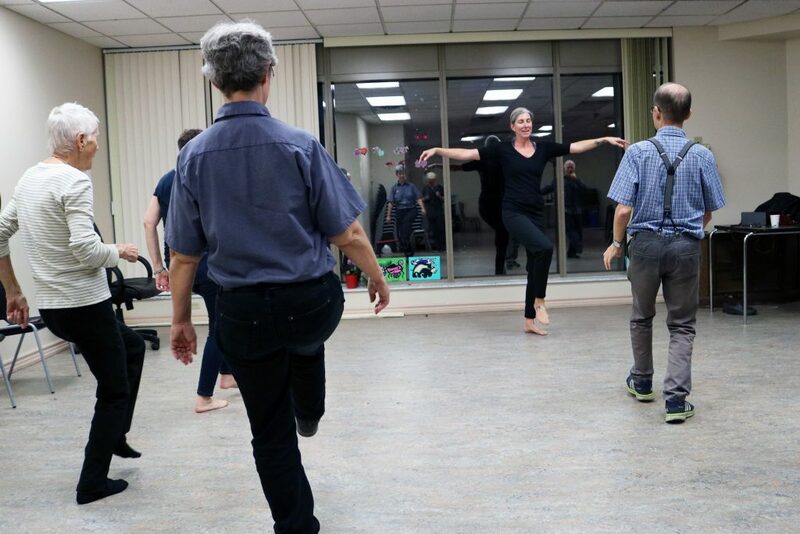 The warm-up of low tai chi-style stretches and movements quickly gave way to more energetic kicks, turns, hip shaking and even some air guitar, much to the delight of the group. With dance music thumping, participants were encouraged to go freestyle at points, and that’s where the real moves came out – two ladies partnered up for a lively waltz, one man broke out into a vogue-style runway walk, while another with knees of a teenager jokingly attempted a Russian-style kick dance. 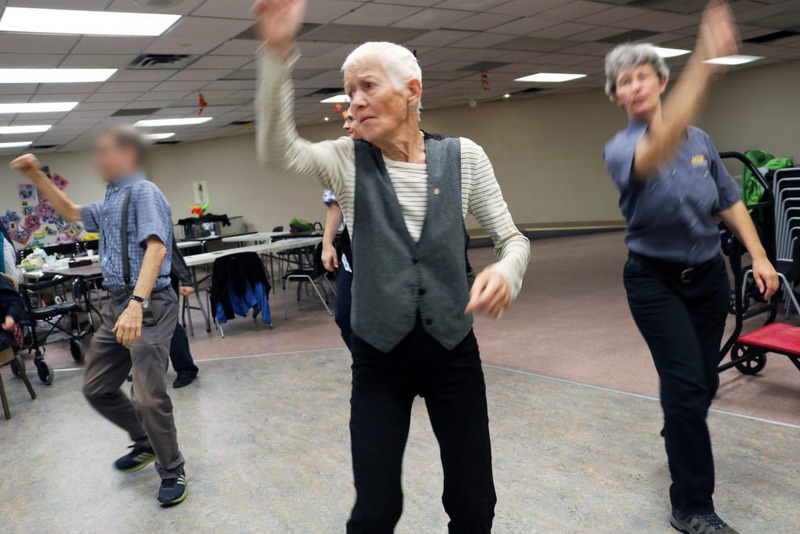 The energy and enjoyment filled the room, giving the seniors a wonderfully fun way to get some exercise while spending time with friends. Congratulations to Sunshine Centres for Seniors for doing such a great job making a difference in the community. We are proud to support initiatives like this in the LGBTTIQQ2S communities of the GTA through our Rainbow Grants program. Community One Foundation thanks our generous donors who make programming like this possible!